The Canary Islands are located in the Atlantic Ocean, south west of Spain and north west of the African continent. Its diverse landscape, mild climate and natural treasures make them unique in the world, creating a genuine paradise filled with sunshine that forms an exceptional environment in some areas, which is very attractive to tourists. 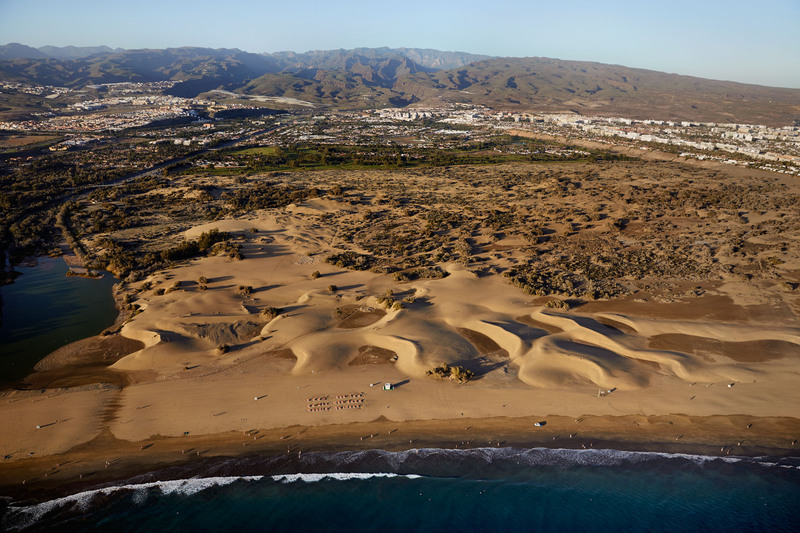 One of its most cherished treasures is hidden in a corner of southern Gran Canaria, an area that is as magical as it is beautiful: Maspalomas. The Town of San Bartolomé de Tirajana is the largest municipality on the island of Gran Canaria. A place of major geographical contrasts, with treats of a volcanic nature, and where you will find one of Europe’s top tourist destinations: “Maspalomas Costa Canaria”. Either by the sea or up in the mountains, you will find relaxation, sport, adventure, culture, gastronomy etc. Great experiences here are surrounded by unique landscapes in a peaceful, socially stable environment. San Bartolomé de Tirajana is just one of the places where you can enjoy spring weather all year round. The climatic conditions of this part of the island are not affected by the trade winds, which ensure it remains dry and enjoys constant temperatures, making it unique. The low rainfall means that the sky is clear or only has a few clouds for the majority of the year. This brings with it regular annual temperatures, with averages of around 21 to 23ºC. The temperature by the coast is mild, benefiting from the tempering effect of the sea; however, the altitude of the municipality and its terrain mean that there is a greater contrast in temperature at mid-altitude levels and the mountaintops during winter and summer. This feature make the municipality even more attractive, because all you need is an hour in the car and you can choose between sunbathing and swimming at the beach or playing in the snow at the top of the mountains.